Habit is what makes us human. It is the mechanism that determines how we live each day, and cumulatively, how we live a lifetime. Living like a yogi means changing your routines, little by little. Thereby, developing new habits. Small shifts in daily schedules can have a big impact on the course of your life. 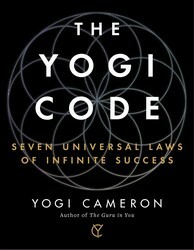 Learn more about what it means to be a yogi in The Yogi Code: Seven Universal Laws of Infinite Success. As yogis, we start to look at our daily routine and observe it to see what is serving our purpose and what isn’t. As we are trying to create balance in all aspects of our life, any habits that move us away from our healthy goals and spiritual aspirations will need to be altered. If you keep irregular habits and routines, your mind will not become consistent and peaceful. For instance, if one day you go to bed at 9:00 p.m., then another day you retire at 1:00 a.m., or if you eat dinner at 6:00 p.m. and then another night at 9:00 p.m., you are not creating a consistent pattern for your mind to commit to. The mind and body are like children—they need a routine, and when they don’t have one they behave in an irritated way. You also need to consider this question: What is more important to you at this stage of your development? Is staying up and having the “freedom” of an irregular sleeping schedule more important to you than starting to change your old pattern and going to sleep between 9:30 and 10:00 p.m. every night? Whatever is most important to you will always win your attention over everything else. For this reason you have to first contemplate why you even want to change this habit if you are going to stand a chance of shifting out of it for good. Too many extreme inconsistencies and irregularities in our routine make for many different imbalances in our mind and body. But it’s a personal choice to follow one routine or another. I work with many people who ask me how they can change their habit of sleeping late or lack of energy or being distracted. The answer is simple—choice. Every time you choose to do something, it is the start of new habits. If you like to drink a glass of wine once a week, it is still a habit, even if it’s a lesser one than that of the person who drinks once a day. Habits are habits. It is the frequency of them that causes us to lose control, but choice is involved—the choice to stop or continue the habit. It all ultimately depends on what your intention is for wanting to drink. When you want to alter, modify, or even change a habit completely, the alternative choice has to become more important than the desire to continue with the old habit. You’ve developed new habits. Stay healthy without breaking the bank. Here are 6 ways to eat right on a budget. Thousands of years of Yoga and Ayurveda wisdom are distilled into a code of seven daily practices that enable the modern, busy person to look better, feel better, and live a stress-free life.While most of us think of Yoga as a series of poses, the path of the Yogi goes far beyond the mat into a set of daily practices that enable us to live a life of better physical health, confidence, deeper connection with others, and purpose. In this succinct yet illuminating book, Yogi Cameron demystifies 5,000 years of yogic wisdom into a clear language for everyone to benefit from, regardless of your familiarity or ability with yoga. Yogi Cameron first started practicing Yoga in Paris at the Sivananda Ashram in 1987 while living a supermodel's life as the face of Guess and Versace, and the muse of Madonna and Elton John. He moved to India and studied the Yoga principles and Ayurveda for over a decade before coming to America to teach westerners the power of The Yogi Code. He has been featured on The Dr. Oz Show, The Ellen DeGeneres Show, The Today Show, Extra, and Martha, amongst others. He has also been featured in The New York Times, Men's Journal, Wall Street Journal, The London Times, and ELLE magazine, and he is the author of two previous books and is a regular contributor to the Huffington Post, Mind Body Green, Thrive Market's website, and Sharecare, a health portal which is part of Dr. Oz’s outreach program for health and lifestyle experts.